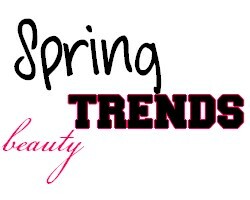 There are quite a few beauty trends this spring. I'm digging all of them! 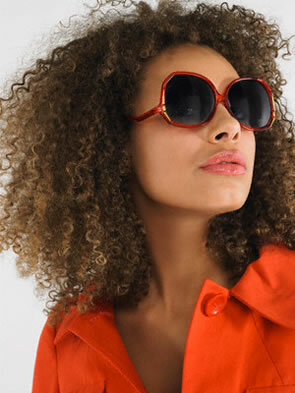 From the bold bright colors to the sleek clean looks! I love this trend, it's so fun and vivid. You can play up with the endless possibilities of colors. your PURPLES, PINKS, BLUE, GREENS, YELLOWS etc. in the front! This trend has been around for some time now. I don't think it's ever really going to dye out. it can show all your lips faults! & ALWAYS, apply a lip balm on your lips before your apply your lipstick. I barely own matte lipsticks but I sure would love a blue matte lipstick! Any suggestions? Trend o3. "Slick Back Hair Styles"
know what hairstyles might work for you. recommended slicking it back in a tight high bun. Trend o4. "Over sized Hair"
This is the complete opposite the the last trend I mentioned above. style. If your hair is naturally frizzy, LEAVE IT ALONE. Bring out of your odd not your normal wear eye shadows! Because GREEN is the IT eyeshadow of spring. with all of your options and different shades of green. Trust me, your going to be amazed at how the look plays out! They are many more beauty trend for Spring 2011, but these were the ones that caught my eye. I like each trend for different reason. DISCLAIMER: this post was not sponsored nor was i compensated! all opinions are my own! all images shown without my customized logo were found on google.com or photobucket.com .